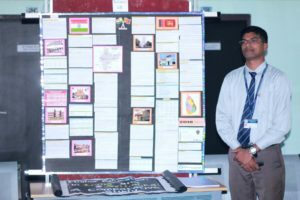 Anveshan: Student Research Convention, an exhibition of research projects, a pioneering initiative of Association of Indian Universities (AIU) for the aspiring researchers throughout the country, is organised at the university level on 19th November 2018. 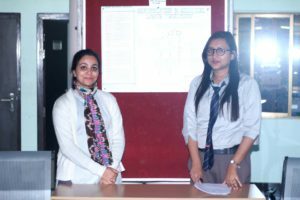 The event was organised by a committee headed by Dr. Samrat Dey, Head, Department of Physics. 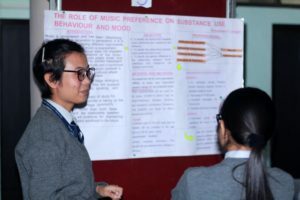 As many as fifteen exhibited research projects were scrutinized by a team of experts of their respective areas. Evaluation was based on poster presentations, oral presentations and questions-answers. Weightages were given to scientific thoughts and principles, creativity, thoroughness and presentation. Finally five projects were selected from four different fields; these projects will be nominated by the University for the Zonal Level Competition, which will be followed by National Level Competition. This competition has been organized by the Research Division of Association of Indian Universities with a view to inculcate research culture in higher education institutions. According to AIU, these Conventions aim at identifying the young and rising talents who would be promoted through proper encouragement and incentives. Also an attempt shall be made to commercialize their research projects with industrial collaboration. The endeavour may accelerate scientific research and innovation and their application towards community development percolating to the grass root level.